Many entrepreneurs are still using manual method to manage and track their product distribution. Read this. Solve your daily headache. 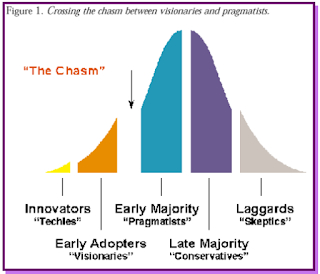 I have met many entrepreneurs that are building their business successfully in product distribution. Some of them are manufacturing their own products and distributing them to their retailers and agents. Some of them have their own outlets. Some of them represent certain products to their customers that runs retail business. 2. You have more than 1,000 products SKUs to manage. 3. You have more than 15 salesmen that meet customers every day. 4. Each salesman meets with at least 25 retailers every day. 5. So you have at least 200 customer meetings orders every day. Imagine every customers orders 100 items of various SKUs. You will have 20,000 item orders a day. 6. Warehouse need to receive the orders immediately. Mark the stock that are already booked by customers immediately. So that salesmen do not book items that are already out of stock. 7. Make sure the salesmen do not accept orders for out of stock items. The stock level is changing by the minute. 8. Start packing the items ordered and mark for different customers. 9. Get the delivery man to get the products and deliver to customers. 10. Salesmen need to check invoices. Look at debtors aging. Those that are in arrears, he will not accept new orders. 11. Salesmen can look at invoices outstanding. Inform the customers on the status and balance. 12. Salesmen can receive payment from customers. Immediately inform Accounting department. He can put the payment to the company bank account at the end of the day. He should update payment status to the people in the office. Now you can see how difficult it is to manage an distribution business. If you are doing it manually, the business will not become big. It will stagnant. Probably it will die off eventually. 1. The module is called Distribution Management. 2. 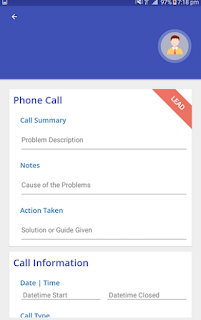 It is part of CRM module. 3. You use the price book to manage your product and prices. 5. You use the POS to manage your orders. 6. Assign task to your salesmen. What customers to meet, what day. You can schedule it in advance. 7. Your salesman can see the list of customers to visit that day. 8. When he arrived at the customer location, he can use CHECK-IN function in OfficeCentral Mobile Apps to record that he is already at the location. You know that mobile have GPS function. 9. He can log in to the system and see the list of invoices with this customer. Which one is still outstanding. 10. He can receive the payment from the customers. Then he could bank in the cheque or the cash int the bank. Update ti the system is immediate. 11. He can receive orders from the customer. He will use the POS module to do this. 12. The warehouse will immediately know the order details and can start do the packing. 13. The stock balance is updated immediately. Even though the stock is still physically in the warehouse, but it cannot be sold because it is already booked by this customer. For example, you have 1,000 unit stock fo product A. When customer purchase or booked 100 of the product A, the balance that available for selling is 900. This is done automatically by the OffficeCentral. 1. 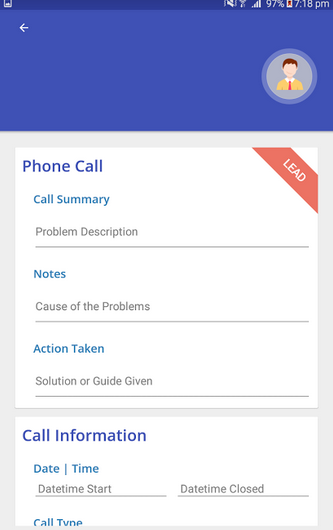 Assign meeting tasks to your salesmen. 2. Check who they meet, when. 3. 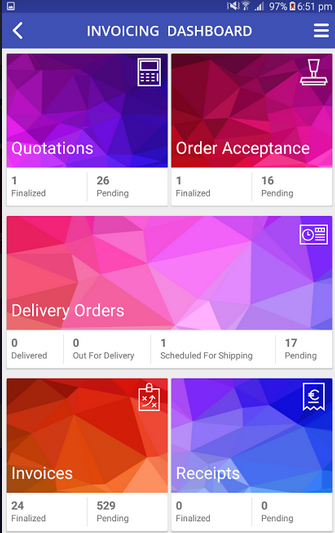 Check orders - by customers, by salesmen, by products, by principal. 4. Check what products are selling fast. 5. Check what products are slow moving. 6. Check what principal products are moving or not moving. 7. Check new account added by salesmen. 10. Check your cash flow. Basically OfficeCentral CRM and Distribution module will do a lot of things that gave you huge headache previously. Now you can run your business smoothly. Now you can focus on growing the business. Become big giant. Expanding Venture Business to India. Many of my friends are surprised that I decided to expand my ICT business to India. India has many large and successful ICT companies. You will be probably be familiar with InfoSys, Wipro, Tata CS etc. The numbers are incredible. Can you imagine Wipro have 175,000 staff. back to the original question of why we are expanding to India. India has 1.25 billion population. There are 48 million SMEs in India. India is launching GST in April. All companies must change their accounting, CRM, POS software to those that comply to the new GST rules. We have a good experience during the GST launch in Malaysia last year. We grew significantly from our aggressive marketing and competitive pricing. Our programmers have been very busy adding fantastic features that are loved by our users. I believe this is the opportunity for OfficeCentral to get a significant user growth. We target to have 1,000,000 users by 2020. India will give a big boost to our target. Data pasal CUSTOMER ialah seperti EMAS untuk kita. Macamana OfficeCentral CRM boleh menolong kita? Data pasal CUSTOMER ialah seperti EMAS untuk kita. Macamana OfficeCentral CRM boleh menolong kita? Unuk orang bisnis data customer bagai EMAS. 1. Data pasal customer ada pada kita dari mula sampai sekarang. 3. Kita mendapat data secara instant. Mula-mula kita isikan leads kedalam sistem. Semua proses marketing mula dari leads. 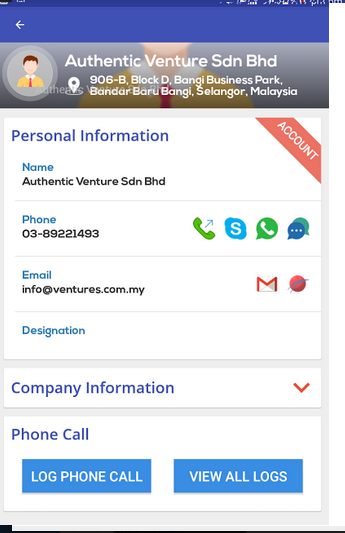 Kalau leads ini ada potential nak jadi customer, kita tukar status kepada "ACCOUNT"
3.Potential - apa potential business kita dengan account ini. Semua usahawan mesti menggunaan CRM tools. Mengapa? 1. Semua data entag potential customers and customers ada disini. 2. Kalau sales person kita resign, kita ada data. 3. Kalau sales person lain kena cover, dia boleh terus lihat data. Data pasal customer is GOLD untuk syarikat kita. jangan hilangkan. Sistem CRM akan menolong kita. How to Build successful sales? How to Build successful sales?. I am sure you have experience failures in building successful sales. You employ sales executive and sales manager and expect your sales to go up. But nothing happens. You were wondering, what went wrong? I have gone through this many times. Many failures. But I will share with on what worked. What we need is to manage the sales team effectively. 1. You must have KPI target for them. You may find this is too much, but lets try it. You will see drastic changes later on. What I dis was build up the CRM Sales Management process in the software that we deveoped. Inside the software you can manage all the KPI above. You can see the dashboard. The target. The actual. When you set KPI, you must also be serious about it. if you staff missed the KPI target, then you should take action. Then it will work. Visit our website to read more about it. Macamana nak generate sales yang bagus untuk kompani saya? Macamana nak generate sales untuk kompani saya? Soalan ini adalah soalan yag universal. Setiap usahawan akan mengalami kerisauan ini. Kebanyakan kita akan ambil sales executive dan expect dia to bring in sales. Of course masa interview dia akan janji berjuta, tapi lepas enam bulan, gaji sendiri pun tak lepas. 1. Tiap salesman mesti kita train. 2. Paham pasal Unique Value Proposition produk kita. 3. Tahu macamana nak buat presentation yang bagus. 4. Tahu macamana nak buat follow up yang efektif. 1. Berapa leads baru tiap bulan? 2. Berapa akaun baru tiap buan? 3. Berapa potential sales tiap bulan? 4. 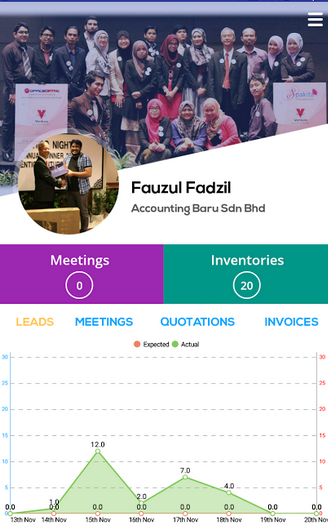 Berapa sales meeting tiap bulan? 5. Berapa quotation tiap bulan? 6. Berapa invoice ( jualan) tiap bulan? Kebanyakan kita ada satu target saya i.e berapa jualan tiap bulan. Cuba ikut cara saya dan kita boleh share the impact kepada kawan-kawan usahawan kita kemudian. What is he difference between PC-based technology and cloud technology? What is he difference between PC-based technology and cloud technology? This is a frequent question during meetings with entrepreneurs. The cloud based technology is the latest technology in managing enterprises. The advantages are much more superior as compared to the older PV-based technology that started more than 20 years ago. The PC based system normally gives you one user access, no internet access, no mobile access and very few modules. You basically cannot operate unless you are in the office, using the PC that is loaded with the software. The cloud based system is much more powerful and friendly where you can get access from anywhere, you can have many users cooperating together on real time, you can access from anywhere, anytime. You can also have mobile apps for it. The system can be very powerful due to the power of the cloud. 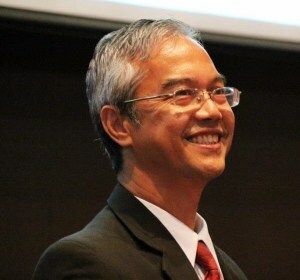 The cloud adoption is increasing more than 50% in USA and in Malaysia. I believe very soon most entrepreneurs will choose cloud technology based product to run their company. Access information easily from anywhere, and from mobile phone. All applications in one database. All required modules are available to use immediately. Very efficient. Very effective. Without this the company will be lefy behind.